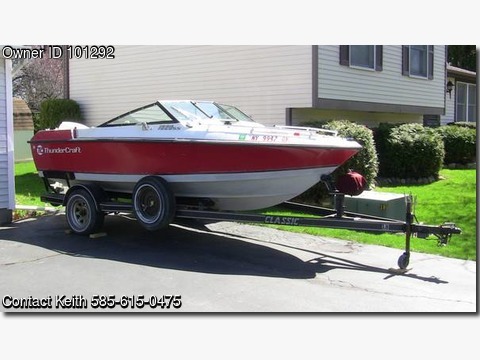 Boat is located in Rochester,NY.Please contact the owner @ 585-615-0475...Clean, well maintained family boat. This boat is great for fishing, skiing, family outings with towables, just about anything you can think of! The 2013 90HP Evinrude Outboard starts and runs like a dream, and it is still under warranty. You can't go wrong with an outfit like this, and you don't need a truck to take it where you want to go! (I tow it with a Subaru Outback.) The boat comes with bow and cockpit covers, fish finder, dual batteries with switch, power trim/tilt for the outboard, and a fiberglass swim step with ladder. Trailer included.$9500 or best offer.